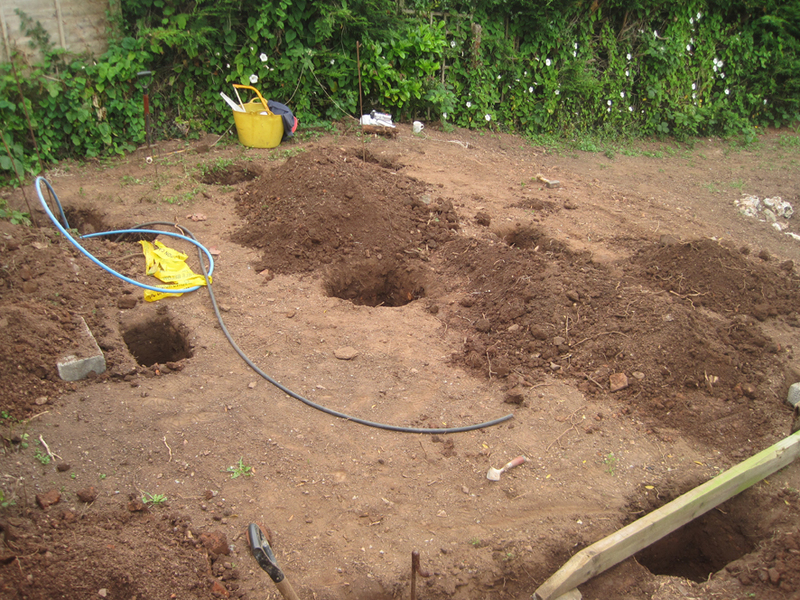 After many weeks in the workshop fabricating the insulated structure for the first Addition+ garden room, today I broke ground, lots of sweat, heavy digging and a fantastic earthy smell. It feels so good to be out in the open, starting to physically build. Hopefully the room will be up within the next couple of weeks and should look something like the quick photomontage that I put together for the clients from the Sketchup model.